Please see your local ANCOP coordinators to get involved in local events. In August 12, 2007, youth volunteers from Couples for Christ’s social ministry, then known as Gawad Kalinga, joined the City2Surf fun run together with 64, 713 other participants, a record number for City2Surf at that time. 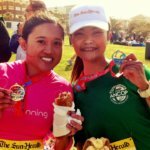 City2Surf which started on 1971 is Australia's biggest community fun run and top community fund-raising event. City2Surf is a 14-kilometres course from Sydney CBD to Bondi Beach where everyone can have fun running while fundraising for their chosen charity. This initiative from our young volunteers set a trend as year after year since then, more kind-hearted volunteers, young and not so young alike, braved the 14 kilometres trek to raise funds for our mission with the poor. The participation kept growing and the support had been tremendous. Taking this cue from Australia and Canada (who had been doing a similar event since 2003), in 2011, CFC ANCOP Philippines adopted a yearly running event called the ANCOP Global Walk (AGW) also initially held during the month of August (later moved to September due to weather constraints). The AGW is simultaneously held in various cities and provinces as well as key cities in the USA, Canada, Europe, Middle East, Africa, and Asia where the works of CFC ANCOP are present. 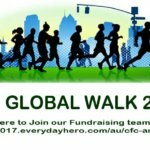 The aim for ANCOP Global Walk is to raise awareness, increase participation and increase the fundraising effort to support the work of CFC ANCOP. In Australia, whilst it may not always coincide with the actual date of the global walk, our participation in different local fun runs is still in spirit with the global mission of CFC ANCOP with the poor. As mentioned, in Australia, different States participate through their local fun runs like CitytoSurf, Canberra Times Running Festival, Cairns City Run, WA’s Chevron City to Surf, Bridge to Brisbane, Melbourne Marathon Festival, etc. Each one joins according to their chosen category, pays their own registration fee and also encouraged to create a fundraising campaign where all donations go to ANCOP. Since these events involve long distance and uphill roads, participants are also encouraged to train. In recent years, participants formed their groups and trained on a regular basis. Each year, participants also beat their personal best, both in running time and in fundraising. 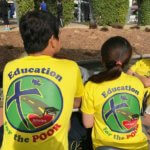 During the actual event, each participant wears the ANCOP T-shirt with the design created by our own CFC members. Before the run starts, the team will gather to a specific point and pray together before heading to each individual starting time and off to enjoy their run. At the end of the event, after run that takes anywhere from 1 tor 4 hours, the runners are greeted with a loud cheer, delightful meals and camaraderie, non-stop picture taking and of course the beautiful sight of the end destination. This year and the next years to come, join us in CFC ANCOP Global Walk and support CFC ANCOP's mission and vision where caring and sharing happen. Contact us on info@cfcancop.org.au and we can help you set up your own fundraising page.